Make sure you check out the main project page of the city here! Please be patient whilst waiting for a response on your application, it may take a while. All applications are responded to. If there are any concerns head over to our discord to talk to us. All players wishing to apply must provide photos of their previous builds. If you do not provide photos or if we do not have access to your photos, your application will be automatically denied. Photos attached must be of creations entirely made by the applicant. No joint builds allowed. Please only send one application and give us some time to reply. You will get sent an email regardless whether you get accepted or not. If you still do not receive any response please PM me and we can resolve the issue. 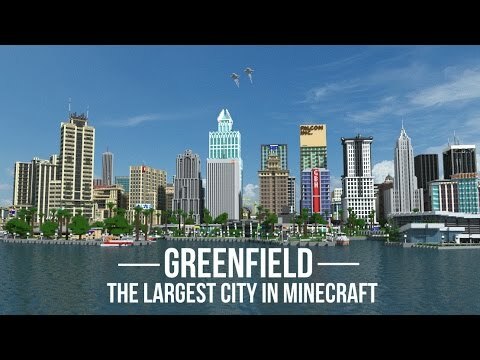 - Players Must use The Greenfield Texture Pack at all times, on the Greenfield server. - Players Must be mature, and treat other people with respect. 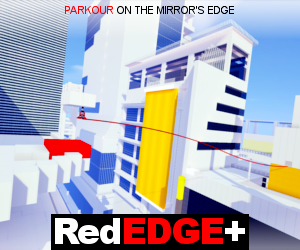 - Players Must not advertise their own projects or servers. - Players Must not lie on their applications. Any players who go against these terms and conditions after warning may be subject to a server ban. To apply to the server you must agree to follow these. Any player with a higher rank could also be demoted if they fail to follow these. - This is not a free-build server. It is a build server for the Greenfield Project. - Build realistically. Build something you would see in a modern day city. No lava fountains please. - If you have any questions, feel free to ask a member of staff. - Please do not ask for ranks. Promotions will be given to those worthy of it. Applications to join the Greenfield Build team are now open! Check the server page for instruction on how to apply! How do I contact the mods? My application hasn’t gotten a response and I submitted in January. Applications will be responded to once we finish the next update. As we are running out of things to build (just prep work by staff), we are not recruiting new builders at this time. If you have more questions, DM an administrator in the Greenfield Discord. Ok thanks and do you know when the update will come? 4/10/19 - Applications have been responded to and have been placed on hold. What if I just want to get inspiration, and don't want to build on the server? I really love Greenfield and I want to see other buildings that aren't on the map yet. Is that okay? Maybe, I could be in spectator mode or something? I'm even willing to pay! In spectator mode I can't break anything or place anything I wont even take screenshots. Please, I know I sound really childish right now but I assure you I am mature. I really just want to see other peoples builds so maybe it'll help me. I'm not going to copy thats just straight messed up. Look All I want is to see whats being built and maybe it could motivate me. Thank you for reading all that! The server info states that the only way to get access to the Build Server is to get accepted into the team and to maintain good standing and be mature. I'm sorry, but we cannot let you into the server without an accepted application, no matter your reasoning. Okay! Thanks for the info! Well. I guess I better start practicing for my application! Are you going to update to 1.13 or? 1.13 is still 'buggy' since many of the build server's plugins are for 1.12 only right now. Once OptiFine 1.13 comes out, we will get our textures updated, then hopefully have updated plugins for 1.13. Applications are responded to at the beginning of each month. How many building do i need to put in the appliments? I got accepted with my PMC page (around 3 to 5 builds). I would say at least 3. When will the emails be responded to? Unfortunately you have to send the application and be accepted in order to get whitelisted. Just applied! Wish me luck. Hello! I was wondering if you have a Discord If you do please Tell me the code. Sorry for posting another comment( I know you're probably busy) , but could you give an estimate on to when I could expect a response for my application? Thank you. Are applications still being accepted? I sent the emailed application yesterday and was wondering if and when I could start building on the server. Applications will be responded to soon. Does inactivity also result in a ban? Because I'am thinking about applying in order to remove and rebuild the AFK center, but I only try to play on it 1.5-2 hours a day and not everyday can I be playing Minecraft. Also, where can I submit the application from? Google Gmail? Are worldedit skills required too? Demotions are usually for staff members if they're inactive. Denux was removed from the architect's list due to inactivity, but he is still an architect. Applications have been responded too as of 5/10/17. We haven't looked at applications for about a month and a half, THEJESTR has been very busy with university. I will bug him about checking them this week. I just sent my application, and I hope it goes through. It's a shame Greenfield is not public. Applications will be responded to soon, our staff are very busy with both server and personal work and will respond to your application when time becomes available. I submitted an application nearly a month ago, but still no responses. Are you guys very busy or something? Not to be picky/impatient, but I'd like for you to respond to it ASAP. Thanks. If I can ask, how long does it take to accept an application? Also, is the [email protected] ﻿the correct email? I already sent my application to that email. Applications are reviewed at the beginning of each month, as far as I know that is the correct email. Wait, if someone is denied the application, then will there be a reason be hind it, or will it be like a standard "does not meet the requirements" message? Also, if their application is denied, then can they reapply again after waiting out a time period? Okay, thank you for clarification! I will wait patiently for the beginning of April for the results. Applications are closed until the release is out. Previous Server experience means if you have built in other servers, similar to Greenfield. The age requirement is not strictly defined but usually, applicants below the age of 12 are rarely accepted as far as I have seen. This is due to the fact that we do expect some degree of maturity for newcomers. You have to realize that this is not a freebuild server but a serious project that has been running for years and has to be respected for what it stands for. Would it be okay if I were to record a cinematic video to YouTube of my previous build? Or should I just use imjur for screen shots?